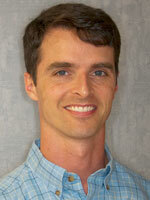 Dr. Jonathan M. Schutze has been in practice since 1999. His education includes a B.A. in Biology from Boston University and a Doctorate in Dental Medicine from Tufts University. He has continued his training in periodontal laser therapy, endodontic therapy, pediatric care, TMJ therapy, cosmetic restoration, implant restoration, and patient relaxation. He has devoted much time to the profession and the public through the American Dental Association, serving as president of the Fourth District Dental Society, as a member of the New York State Dental Association Council on Ethics, and as chairman of the Council on New Dentists. In addition, he served as commissioner on the Joint Council on National Dental Exams. In the office, Dr. Jonathan enjoys balancing a rigorous attention to detail with a relaxed environment and demeanor to give each patient the optimum level of dental function, esthetics, and overall well-being. Away from the office he cherishes time with his wife and three children, volunteering time at his church, as well as playing golf and piano.